From Soviet apparatchik to self-styled macho superhero, Putin embodies Russia’s struggle for power and relevance. Dominant at home and feared abroad, Vladimir Putin has come a long way since 2000, when he took over an ailing Russia still traumatized from the collapse of the Soviet Union a decade previously. Then, Putin was seen as a gray nobody, another technocrat that Boris Yeltsin had made prime minister, and unlikely to last long. He didn’t appear particularly charismatic, and was regarded as the tool of oligarchic clans. Now, with 18 years in power behind him, and six more to come after March elections he is certain to win, Putin cuts a very different figure. Carefully curated public images paint him as a potent man of action: shooting guns, subduing Siberian tigers, throwing down opponents in martial-arts competitions. His personal bearing and his style of rule may have changed over that time, but Putin’s actions over the years have been guided by one simple principle: to restore Russia’s global importance. The 65-year-old Russian president is motivated by a strong sense of history, and like many of his generation, he was deeply affected by the Soviet collapse. If Donald Trump’s calls to “make America great again” are vague as to when the previous period of greatness started and ended, Putin’s calls are hung on much clearer hooks. During the Cold War, the Soviet Union stood for nearly half a century as one of the two lodes of power globally, and when it dissolved in 1991, it left Russia as an irrelevance. Putin does not want to resurrect the Soviet Union, but he does want to regain that lost importance—and restore the Russian people’s pride in their country. 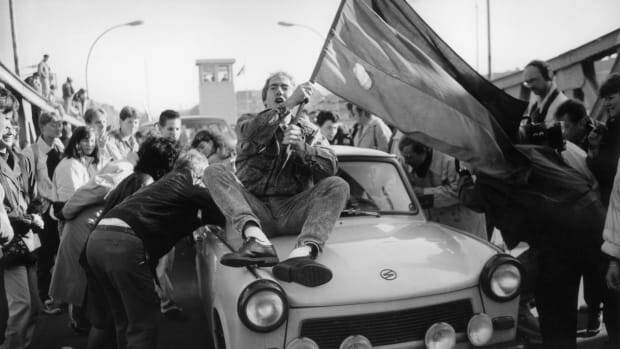 The transition after the Soviet collapse proved brutal for most of the population, and while Putin rose swiftly in the political ranks in its aftermath, he did have his own personal trauma associated with the fall. 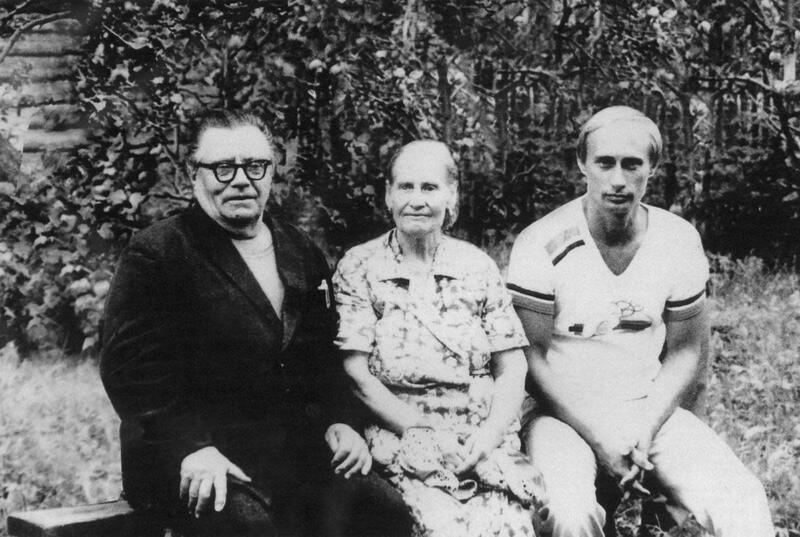 Vladimir Putin, right, with his parents Maria and Vladimir Putin in 1985, just before his departure to Germany, where he worked as a KGB officer. As a 37-year-old KGB lieutenant colonel stationed in the East German city of Dresden, Putin watched nervously as angry crowds stormed the city’s huge Stasi compound in December 1989. Overrunning the offices of the East German secret police, the crowds moved on to its inner sanctum: the KGB headquarters. Putin called for armed backup to protect the employees and the sensitive files hidden inside, but was told no help would come. “Moscow is silent,” said the voice on the line. He had no choice but to go outside and lie to the crowds that he had heavily armed men waiting inside who would shoot anyone who tried to enter. 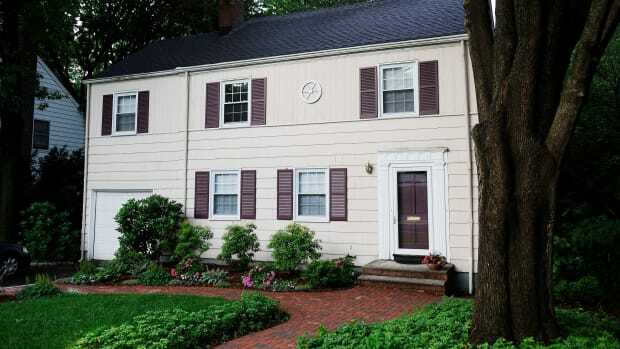 The bluff worked, the mob dissipated and the KGB’s files on informers and agents remained safe. During the 1990s, Putin rose from a mid-ranking cog in the periphery of the KGB to become the deputy mayor of St. Petersburg, and then in 1996 was called to Moscow to work for President Yeltsin’s Kremlin. 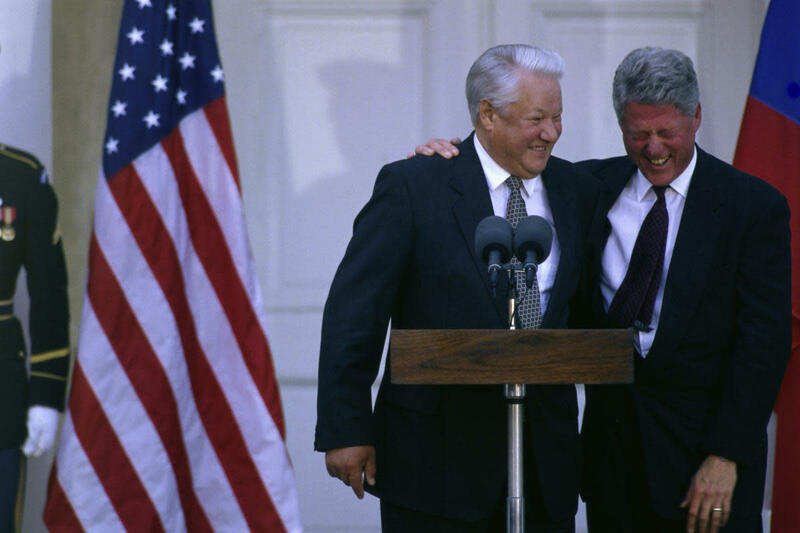 American President Bill Clinton laughs at Boris Yeltsin’s jokes during a joint news conference in Hyde Park, New York. Putin was determined to regain international respect he felt Yeltsin had lost. He saw close up how weak the new Russia had become. In 1998, when Bill Clinton called Yeltsin to tell him the United States was considering air strikes on Serbia, Yeltsin was furious. He screamed at Clinton that this was unacceptable and then hung up. The bombing raids went ahead anyway. 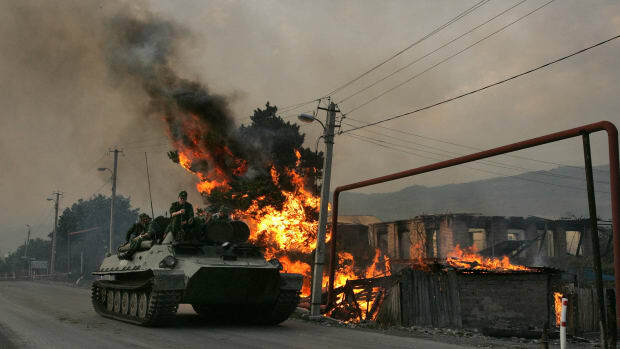 Putin was determined that this could not continue, and it was immediately clear that his style was going to be very different to that of Yeltsin. When Bill Clinton’s point man on Russia, Strobe Talbott, first met Putin during the late 1990s, the American official found his style completely different from the histrionics or lecturing that he was used to from Yeltsin and other Russian officials. 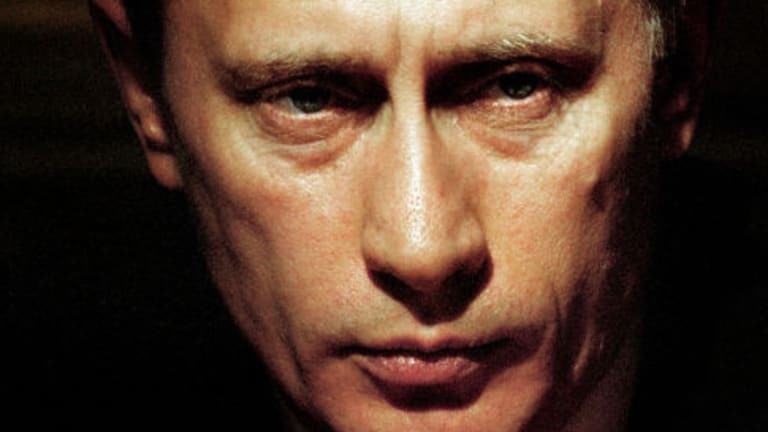 Talbott was struck by Putin’s “ability to convey self-control and confidence in a low-key, soft-spoken manner.” And the future president also used a number of tricks from his KGB background to show he was in control, making sure to name-drop poets Talbott had studied at university to show he had read Talbott’s file. “I could imagine him debriefing a captured spy who’d already been softened up by the rougher types,” Talbott recalled in his memoirs. A few days before he became president, in late 1999, Putin wrote an article in the Russian newspaper Nezavisimaya Gazeta, outlining his task as he saw it. “For the first time in the past 200–300 years, Russia faces the real danger that it could be relegated to the second, or even the third tier of global powers,” Putin warned. He called on Russians to unite to make sure that the country remained what he called a “first-tier” nation. To achieve this, Putin turned to history. Russia’s recent past had been contradictory, painful and bloody, but Putin was determined that Russians should take pride in their history. Victory in the Second World War, still known in Russia as the Great Patriotic War, became a kind of national founding myth for the new Russia. 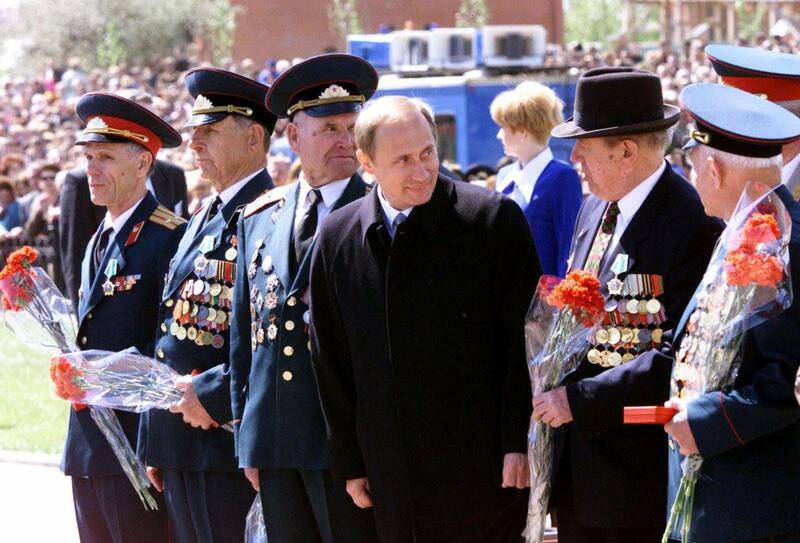 Vladimir Putin with World War II veterans in May 2000. They are gathered in Kursk, Russia, site of history’s biggest tank battle, when Soviet forces defeated a major Nazi German offensive in 1943. Putin invoked WWII victories as a way to restore Russian pride after the Soviet collapse. “Through you, we got used to being winners,” Putin told veterans on his first Victory Day, two days after his inauguration in 2000. With each year, the victory narrative became more pronounced. 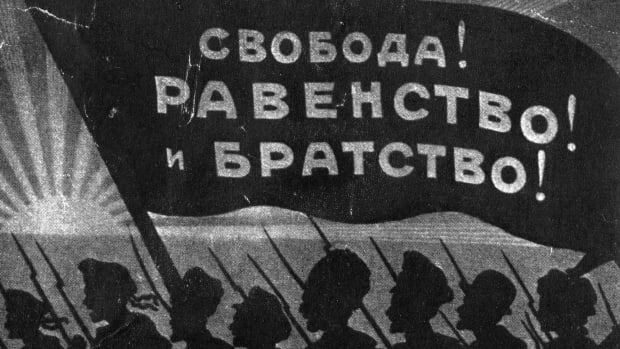 Questioning the darker sides of the Soviet war narrative, such as the deportation of 2 million Soviet citizens during the war, or the ruthless tactics of the Stalin regime on the eve of the conflict, became ever more taboo. Putin was determined that Russians should not be made to feel guilty for their past. 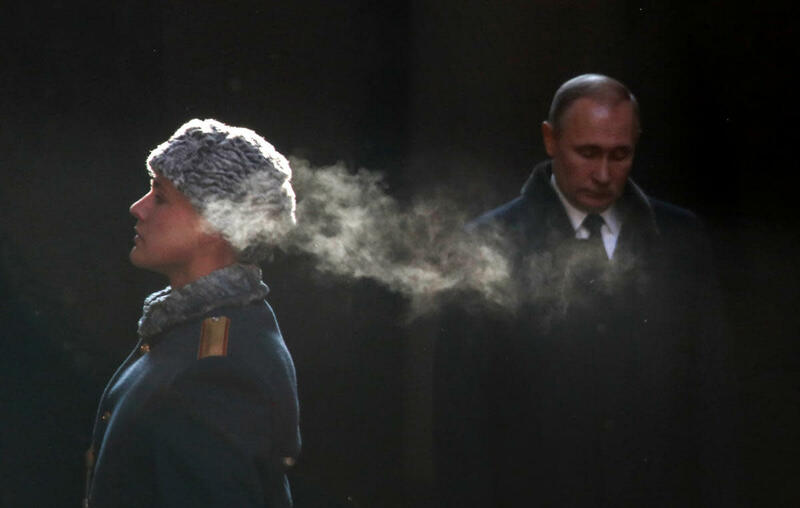 Putin’s personal image evolved to reinforce the narrative of a newly resurgent country. He won Russians over with his calm, no-nonsense approach and tough talking. Over time, Kremlin spin doctors played up his macho credentials, resulting in a series of photo opportunities that seemed to get more and more absurd: Putin at the controls of a race car and a fighter jet, Putin riding a horse bare-chested, Putin flying a microlight with a flock of rare cranes. There was even a rumor doing the rounds in Moscow political circles last year that Putin wanted to be blasted into space to orbit the earth. 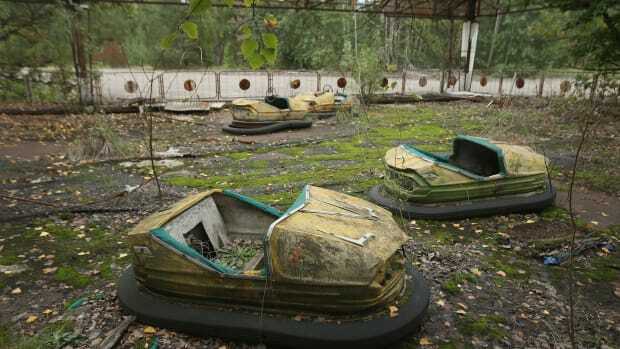 But the idea was apparently nixed by Kremlin security, who deemed it too dangerous. As Putin’s constructed image approached that of a superhero, his style of rule changed too. In recent years, the circle of real decision makers around Putin has shrunk, and now mainly consists of people with a security services background. Putin prides loyalty above all else, and many of the people around him are those he has known since his KGB days—or at least since the 1990s in St Petersburg. These people almost never talk to journalists, making reliable information about the inner workings of the Kremlin hard to come by. Putin is a cloistered leader, who hardly ever uses the internet and mainly receives information in briefing notes handed to him in red folders by Kremlin aides. While he cultivates an image as a man of the people, he comes into contact with “real Russians” increasingly rarely, and usually in carefully scripted encounters. 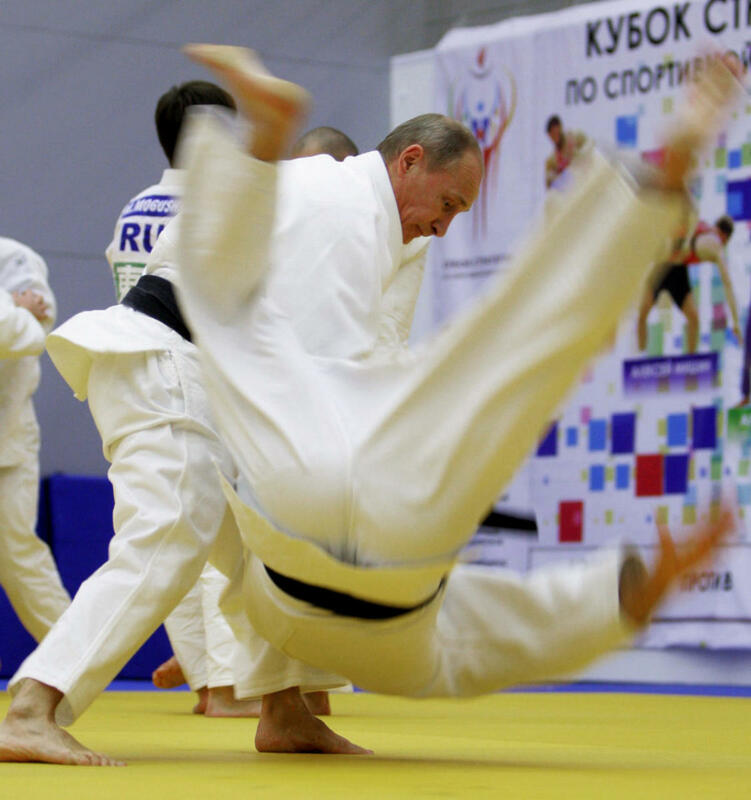 Vladimir Putin taking part in a judo training session in St. Petersburg, 2010. A rare glimpse into the Putin’s family life came in 2005, when his wife Ludmila gave an interview to Russian newspapers. 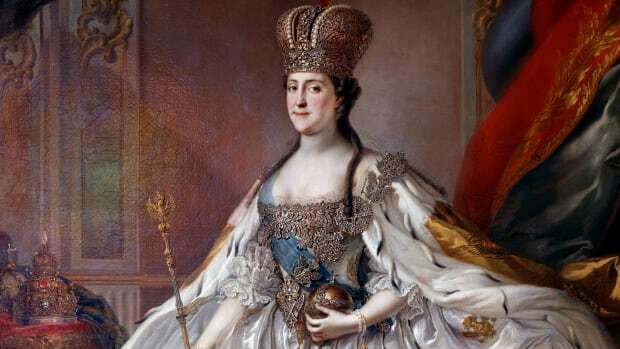 She painted a picture of a taciturn and authoritarian master of the house, who could only be asked questions when he came home late at night and drank a glass of kefir before bed. Even then, she knew not to ask work-related questions. Ludmila said she had given up cooking because her husband never praised her food. “He has put me to the test throughout our life together. I constantly feel that he is watching me and checking that I make the right decisions,” she said. It didn’t sound much like marital harmony, and indeed after a period of rumours that the couple lived separate lives, they announced a divorce in 2013. For a number of years, a hacking group named Shaltai Boltai (Russian for Humpty Dumpty) provided a rare window into some of the inner workings of the Kremlin, as it hacked the email and Twitter accounts of a number of Kremlin insiders, including the prime minister Dmitry Medvedev. The Russian security services have shut down the group now, and one of its members is in jail, but back in 2014, I was able to arrange a meeting with one of the hackers. Vladimir Putin attending a wreath-laying ceremony in February 2018 at the eternal flame of the Mamayev Kurgan memorial complex in the city of Volgograd (formerly Stalingrad), during an event to commemorate the 75th anniversary of the Battle of Stalingrad. Over the years, Putin has made himself synonymous with the new state. By the end of his next presidential term, he will have been in power for nearly a quarter of a century. “Without Putin there is no Russia,” said Vyacheslav Volodin, one of his top aides, a few years ago. During this time, Putin’s use of the Second World War has been augmented with other, secondary historical figures and victories, as Putin has tried to weave a narrative of Russian glory, starting with the 10th-century Prince Vladimir, founder of Kievan Rus, and ending with the Vladimir currently residing inside the Kremlin. But Putin seems to be running out of ideas. His messaging is still mainly based around a warning of 1990s-style chaos if he were to be replaced, and pride in past glories. Meanwhile, his childhood friends and political allies have got extremely rich, and riot police have shut down any attempts to protest against his rule, often brutally. It’s true that Putin has changed the complexion of the Middle East with his intervention in Syria, and has gained notoriety in the west for his electoral meddling. In that sense, he has succeeded in his plans to make Russia a “first-tier nation.” But the era of easy oil money is over, and it is unclear what narrative he has to offer Russians going forward. His is a system that remains more focused on the past than on the future. Shaun Walker has lived in Moscow since 2003 and is the outgoing Moscow correspondent for The Guardian. His book, The Long Hangover: Putin’s New Russia and the Ghosts of the Past, was released in January and is published by Oxford University Press. Follow him on Twitter at @shaunwalker7.